This web site is attempting to list, review and create some discussion about the best movies ever made about American Indians in the pre-assimilation era. 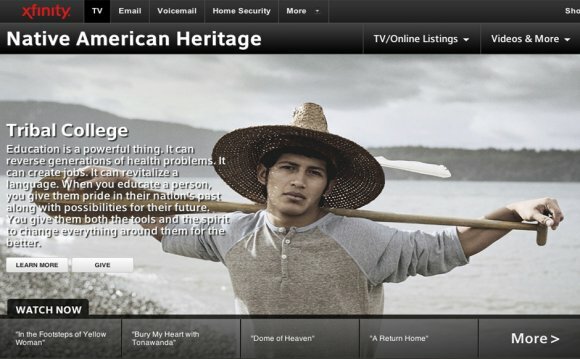 The movies listed here focuses on Native Americans living in their traditional ways. I consider this era to be up to around the time of Wounded Knee in 1890. &nbsp&nbsp&nbsp&nbsp In considering which movies to include I have considered how big a role Indians had in the movie's plot, how well the movie showed the Native Americans lifestyle, how the Indians were portrayed and how good the movie was. The biggest factor for me was how good the movie was. &nbsp&nbsp&nbsp&nbsp Some of the movies, such as in Ulzana's Raid, will have portrayals that some may consider to be negative. Others, like Dances with Wolves, will have a view that some may consider too idealistic. Hopefully, all the movies included in this list will have some redeeming values. &nbsp&nbsp&nbsp&nbsp History is written by the winners but that doesn't mean that we have to go along with the traditional Hollywood view of Native Americans. There have been some strong portrayals of Indians in the movies. I think a case can be made for several movie representations of Native Americans, who can be viewed as patriots, fighting against an alien invading force. Magua in Last of the Mohicans (1992), Scar in The Searchers, Captain Jack in Drum Beat, Ulzana, Massai and Geronimo are just a few portrayals that can be considered positive when examined from a Native point of view. &nbsp&nbsp&nbsp&nbsp I realize that the term "best" is very subjective when it comes to discussing movies. What one person considers the best movie ever made, someone else may consider one of the worst. Some people consider The Searchers to have one of the most negative portrayals ever of Native Americans, while others consider it to be one of the most positive. Movies about Native Americans reflect the changing attitudes of American society towards Native American history and of the American treatment of them. Was Magua a hero or was he a villain? It really all just depends on your point of view.